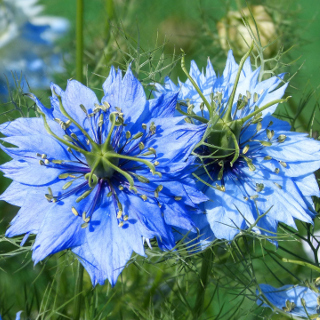 Miss Jekyll Blue is an ornamental flowering Nigella variety with vibrant blue flowers and green feathery foliage. This is an ornamental species different from the one grown for Nigella seeds used in cooking. 200 seeds per packet.